A Reiki Circle is a circle is a group of Reiki practitioners simultaneously practicing Reiki on a recipient for a set amount of time, usually fifteen to twenty minutes. The recipient then exchanges places with a practitioner until all in the group have received their treatment. Circles are places of deep healing and self-discovery. They provide a safe environment of support and embrace and love reminiscent of being held by a universal mother. The circle becomes the receptacle for a recipient’s self-discovery and healing: “How do I feel about being held by those I had perceived as strangers? These people are now coming together to help me on my path. They have never met me, and yet they hold me.” Each one in turn receives from the group in an equal balance of giving and receiving. There are no expectations. There are circles being held all over the world, in many different environments. As time goes on, we will see more of them in traditional arenas like hospitals, corporate spaces, and educational institutions because circles do offer an immediate experience of stress-reduction and relaxation. Set Up a Circle. Everyone has a unique style. Use a save space for healing and where some sort of refreshment is offered, like tea and/or light snacks. The music sets the tone. Depending on the space, you might have candles or ambient lighting. Clear the space. Clearing the space in between sessions is an important part of keeping the energy flowing and the space a sanctuary. Have both rose water and sage to smudge. Rose water is usually not as offensive an aroma as sage and can quickly be sprayed in and around the group. Chimes and bells are sound instruments that also can be used at the end of each session, to mark the closing as well as to gently cleanse the space. When mixed modalities are utilised it is important to let your attendees know that they can have a choice to receive or refuse. Setting healthy boundaries for the circle creates optimum healing space. Remember to keep track of your audience. 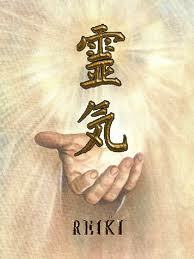 Touch the World through Reiki Circles. Hold monthly circles for global healing. Instead of having clients lie on tables, take world events and places and peoples that were in crisis and put them in the centre of your circle where you are seated and send healing energy from a distance. The impressions of each “send” were often quite profound. For every hour of news that you watch or read you should balance with sending healing. Understand the Social Significance of Circles. Circles cost considerably less to the individual than private sessions. But the depth and breadth of where a client can go in an individual treatment certainly exceeds that of a fifteen-minute Reiki circle treatment. 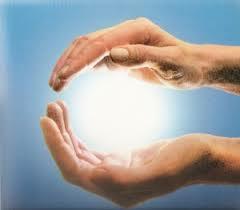 People come together to send healing energy to each other, to the world. Their individual differences are blurred into the healing collective. No one ego stands out. No one is greater than the other. Each person may have certain skills that differ, but together they form a healing unit that amplifies all those individual abilities and makes the unit function as a whole. I wish Pooh were here. It’s so much more friendly with two."